Santa Claus is coming to Toronto! If you want the scoop on the longest running Santa Claus parade in the world, Compten Management Inc. has all the info you need. This year marks the parade's 113th year! Expect to see 25 animated floats, 21 marching bands, celebrity clowns, and costumed participants entertaining kids of all ages. Additionally, this year there's a special float celebrating Canada's involvement in the 2018 Pyeongchang Winter Olympics. 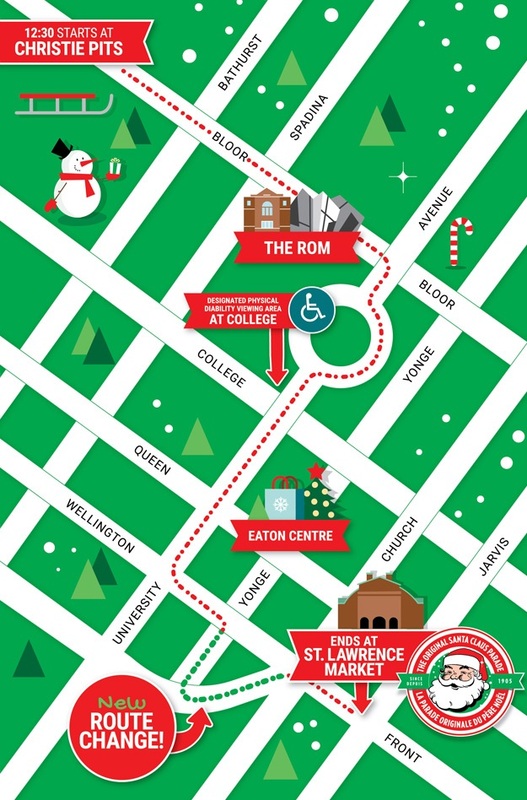 The parade will start at 12:30pm on Sunday, November 19th, beginning at Bloor and Christie Streets and finishing at the St. Lawrence Market. The Official Santa Claus Parade is the largest parade in North America at approximately 5km and two and half hours long. Toronto streets will fill with spectators early, so to get a great view, it is important to arrive early, even 2 hours prior to the parade! No matter what you decide to bring with you, keep your items contained during the parade. If you can easily grab your belongings, you can make a quick exit if someone has is a bad reaction to the noise or the crowd. Help light the way for Santa and purchase a red Rudolph Nose. Participate in the Holly Jolly Fun Run. Volunteer to march in the parade. Make a monetary donation to the parade or CanadaHelps. For those who wish to stay warm and cozy in their apartment, you can watch the entire 90-minute broadcast of the parade on CTV at 4:30pm Sunday November 19th.